Luis Viera Joins Banker Lopez Gassler P.A. Banker Lopez Gassler is pleased to announce the addition of Luis Viera to the firm's Tampa office. Luis is currently the Tampa City Councilman for District 7 which encompasses the North Tampa/New Tampa area. He is also a practicing insurance defense attorney. 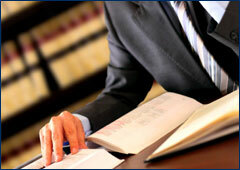 Luis' law background includes personal injury, premises liability, and workers' compensation. He has been practicing in Tampa for the past 15 years since graduating from Stetson University College of Law in 2003. Luis is actively involved in the community. He is a Board Member and incoming President of the Tampa Hispanic Bar Association, the Found and Board President of Lawyers Autism Awareness Foundation, Former Chair of the HCBA Diversity Committee, and former Board Member of Tampa Bay Best Buddies.